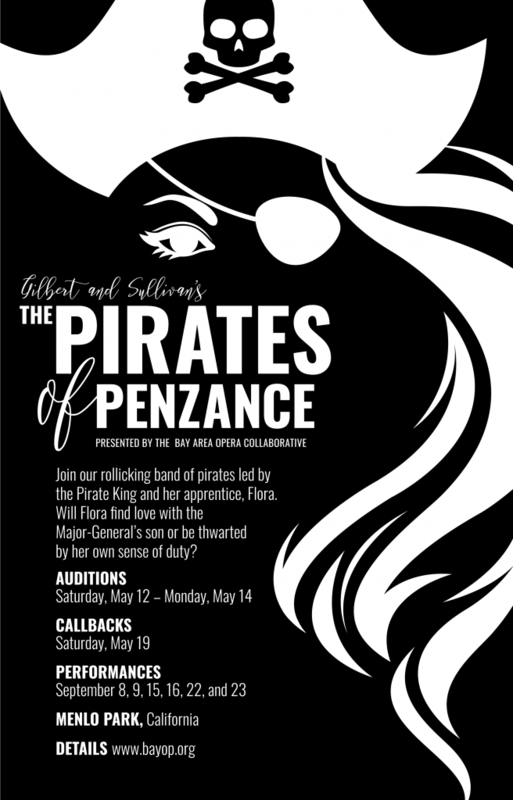 Fully gender-swapped production of Gilbert and Sullivan’s Pirates of Penzance! Performances September 8-23 2018 in Menlo Park, CA. Auditions May 12-14 2018 (callbacks May 19) in Redwood City CA. Join our rollicking band of pirates led by the Pirate King and her apprentice, Flora. Will Flora find love with the Major-General’s son or be thwarted by her own sense of duty? What kind of audition is this, is this a commercial or a gender thing?